We are Martial Art Professionals! Come study and train in the Ji Do Kwan martial art system. Sensei (head instructor) Dr. Gary Wong teaches at his dojo in Fremont, California. The Ji Do Kwan system combines the teachings of multiple martial art systems into a well rounded system for today's modern world. These martial art systems include Karate, Tae Kwon Do, Chinese Boxing, Judo, Small Circle Jujitsu, Wing Chun, Tai Chi, Okinawan Weaponry and Cacoy Doce Pares. Sensei is a lifelong student of multiple martial arts since 1968 and holds black belts in many of these styles. 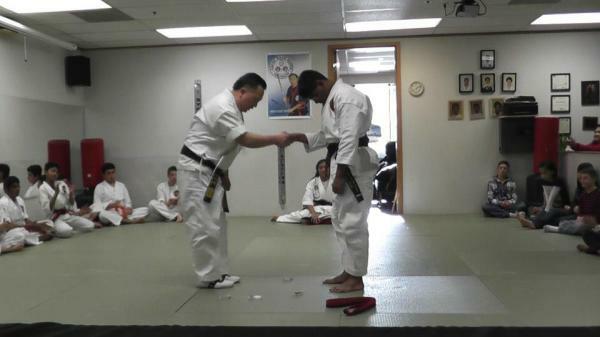 Sensei has been offering classes since 2001 to both children and adults. Sensei Wong believes in training more than just the body. He believes that training of the mind and spirit of the individual is equally important. In the teaching and studying of martial arts, gaining focus, discipline, self-confidence, calmness, respect and humility are just some of the many lessons and rewards that can be earned. Martial art training becomes more than just something that we do as individuals, but becomes a way of life and that is what is taught here at this school.